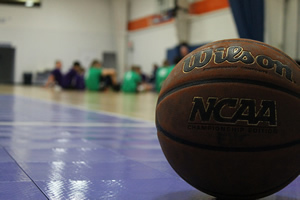 Enter His Courts continues it's teaching, encouragement, and love through basketball leagues that share the hope of the Gospel of Jesus Christ with players and their fans. Enter His Courts takes the "crush-kill-win-at all cost" mentality out of basketball and allows young people to enjoy great competition while developing relationships with other young people throughout nine county areas in south central Indiana and around the country. It is our desire first to preach the gospel of Jesus Christ to all who walk through the doors. Second, we seek to develop team work and cooperation in all who particpate. 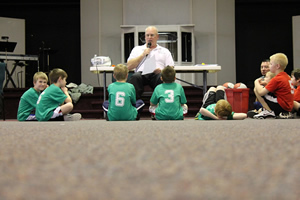 Third, we teach the fundamentals of basketball through our leagues and camps. 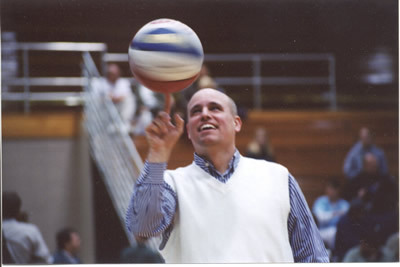 Enter His Courts began in 1988. An average of 5,000 people walk through EHC doors on a given Saturday. EHC has leagues in Seymour, Brownstown, and North Vernon, Indiana.